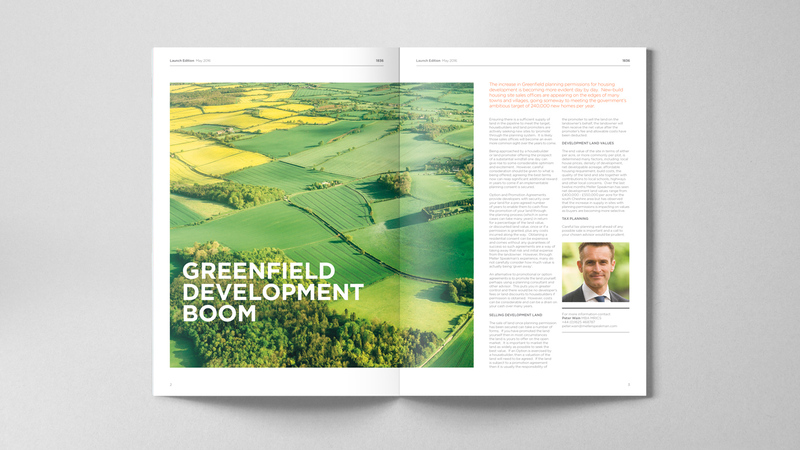 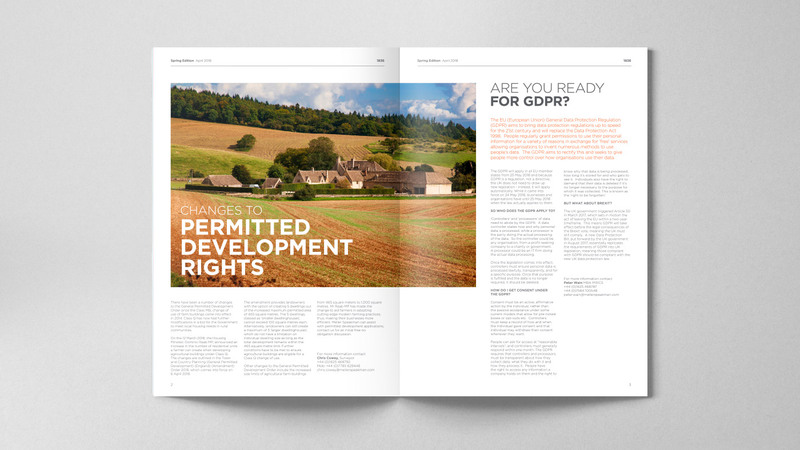 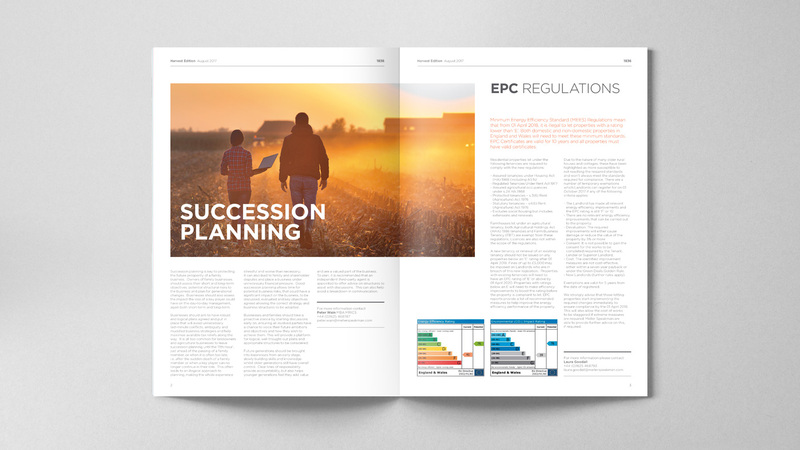 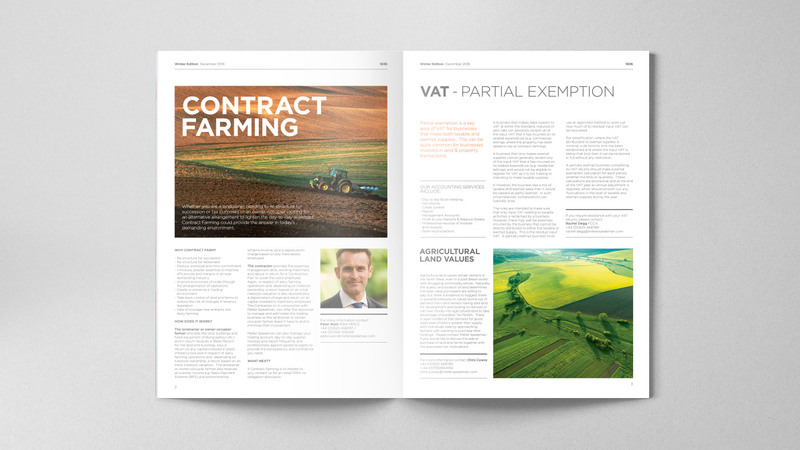 Meller Speakman’s land and property newsletter design. 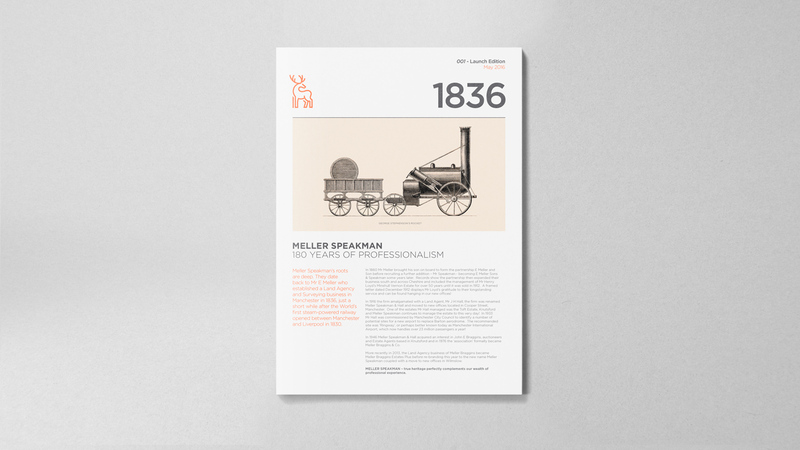 Just a short while after the World’s first steam-powered railway opened between Manchester and Liverpool in 1830, Mr E Meller established a Land Agency and Surveying business in Manchester in 1836. 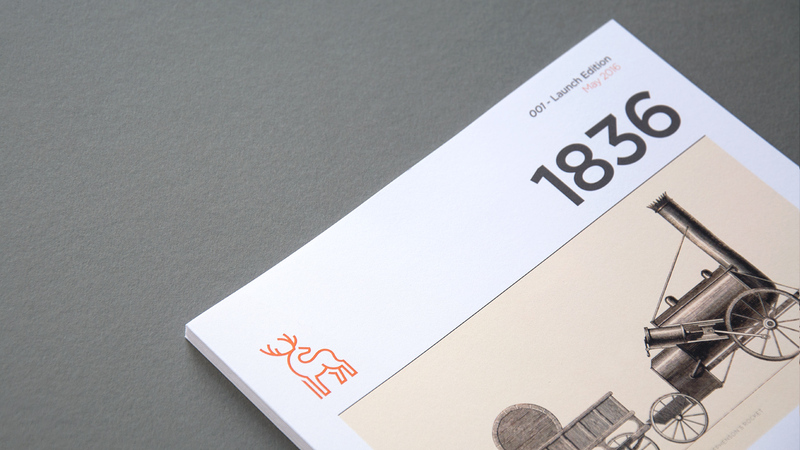 To celebrate 180 years of professionalism and to coincide with the launch of Meller Speakman’s brand, issue 001 of the company magazine ’1836’ was produced. 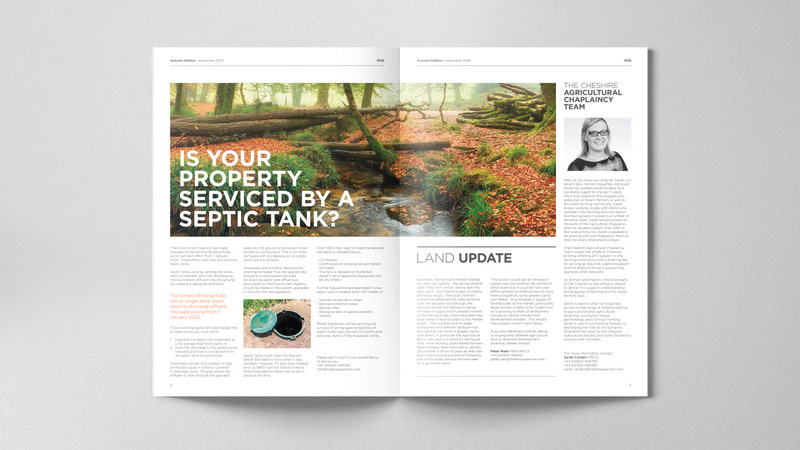 The magazine provides valuable industry insight, company news, sales and acquisitions and extends the Meller Speakman brand.